Detroit-based Quicken Loans Inc. today announced a long-term agreement with Universal McCann (UM) to oversee the mortgage company’s media planning and buying. UM also announced plans to open a new office in the Bedrock-owned First National Building at Woodward Avenue and Cadillac Square in downtown Detroit. The company will initially house 40 employees in the 1001 Woodward Ave. building at Woodward and Michigan avenues with plans to grow to 150 employees once the new space in the First National Building is completed in 2019. Bedrock, a real estate development firm, is part of the Quicken Loans Family of Companies. “Partnering with Universal McCann will give us additional capabilities and the experience of a global media partner as we continue to grow our brand and market share,” says Jay Farner, CEO of Quicken Loans. As the official agency of record, the UM team will assist with creating and implementing a holistic media plan to increase brand awareness of the Quicken Loans and Rocket Mortgage brands. UM will work closely with Quicken Loans’ in-house marketing team to immediately begin executing on initiatives for 2019 and beyond. 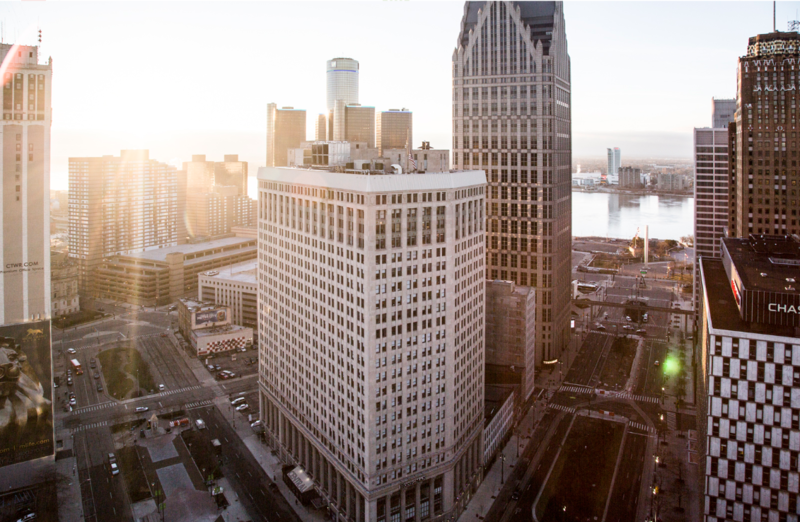 UM joins dozens of businesses operating in Detroit’s Fintech, mobility, marketing, and tech-development ecosystem, including Microsoft, LinkedIn, Amazon, WeWork, Google, Pinterest, Snapchat, Twitter, Uber, StockX, and Rocket Fiber.